30 April 2018: ZM50GW has now closed. Thank you to all the stations that helped us remember the loss of Wahine ZMGW and the deaths of 53 people. During its month of operation, ZM50GW had 777 QSOs; 86% were on CW and the others on SSB. During the month of April 2018, special radio station ZM50GW will mark the loss of the interisland ferry TEV Wahine ZMGW, as part of a series of three commemorations during the year, sponsored by maritimeradio.org and ZL1NZ. To stay up to date with news, operating frequencies, etc., follow ZM50GW on Twitter. For QSL information, and to check the log, please scroll to the bottom of the page. Wahine, a passenger/vehicle ferry, sailed from Lyttelton at 8.43pm on 9 April bound for Wellington, under the command of Captain Hector Gordon Robertson. She carried 123 crew, 610 passengers, one stowaway, and about a hundred vehicles. Approaching Wellington, Wahine encountered SSW gales that continued to increase in strength. At 6.10am, with Pencarrow Light abeam, the ship suddenly veered more than 20 degrees to port and would not answer the helm. The crew struggled to regain control of Wahine, as the ship pitched and rolled, with propellers at times completely out of the water. At 6.41am, Wahine struck the southern end of Barrett Reef, losing her starboard propeller. The port engine then failed, leaving the ship completely at the mercy of the storm. 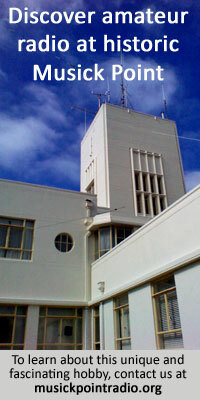 Winds at the Wellington weather office were averaging 64 knots, with gusts to 106 knots. Wahine was blown across the reef, sustaining further damage, then into deeper water until her anchors finally held near Steeple Rock light at about 11 am. Captain DW Galloway, deputy harbourmaster, was able to board Wahine around noon, by leaping from the pilot launch Tiakina onto one of Wahine’s lifeboat ladders, a remarkable feat in the extreme conditions. Lifeboats and liferafts were launched, while some people chose to jump from the ship into the sea in hopes of being plucked out by one of the lifeboats or any of the numerous small craft which had come to help. Survivors were blown across the harbour to the eastern shore were they were met by huge waves breaking onto the rocks. 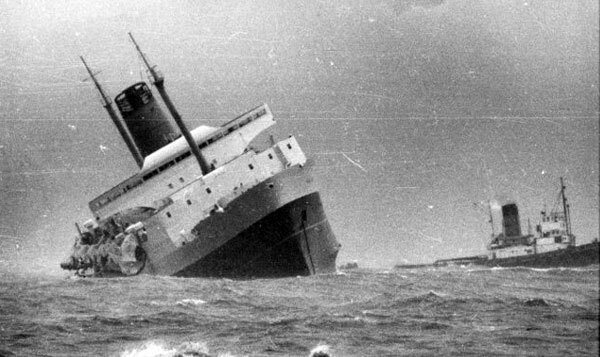 Although all 734 people aboard Wahine left the ship alive, 51 died thereafter. 1. Ingram, C.W.N. (1977). New Zealand shipwrecks, 1795-1975. Wellington, NZ: A.H. & A.W. Reed. p 417. Are you in the log? Enter your callsign in the log search tool below to check. If you have a logged QSO, you can request a QSL card via ClubLog’s OQRS system. Alternatively, you can request a card by simply sending an email with your callsign as the subject. QSL cards will be sent in September 2018, and will confirm the first contact you have made with ZM50GW, ZM50LA and/or ZM50MAUQ (i.e. you will receive one card only, but it may show up to three QSOs). We do not require your QSL card, thanks. We QSL by paper card only. QSL card printing generously funded by Sichao, ZL1CH.